What a way to begin quilting! 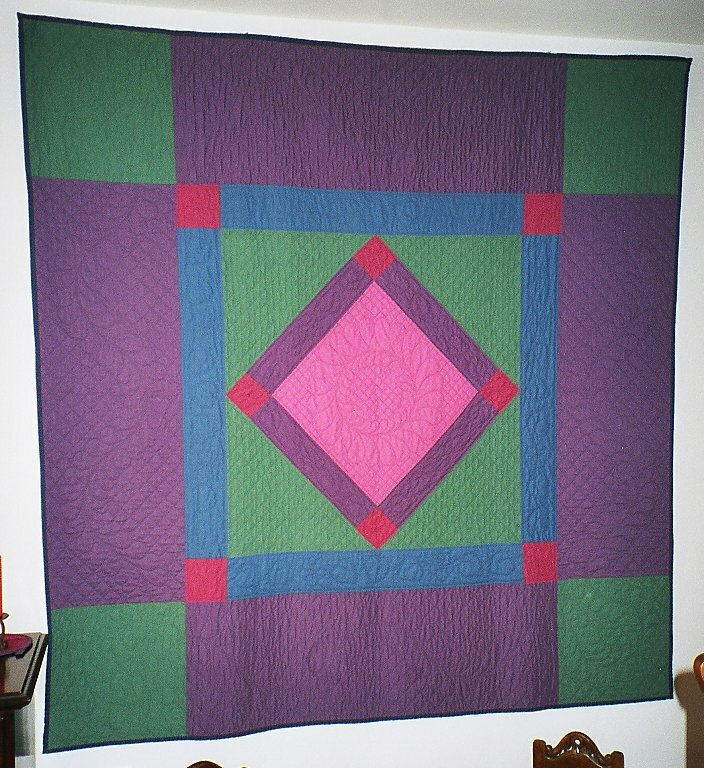 I became interested in both genealogy and quilting about the same time and didn’t know much about either one. Being young and foolish, I made a genealogy quilt for one of my first quilts! 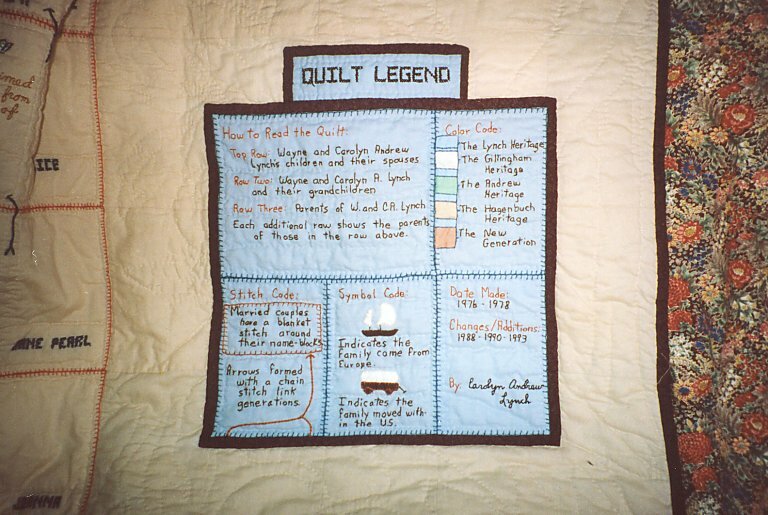 It isn’t the most beautiful quilt I ever made, but I always drag it out when I need to know about the ancestors. I quickly lost interest in genealogy. 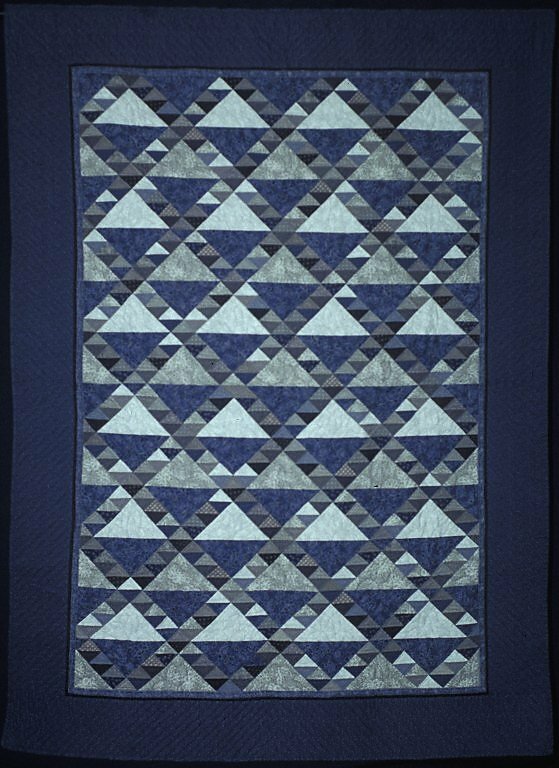 This quilt includes blocks for 200 people and covers a span of 16 generations. 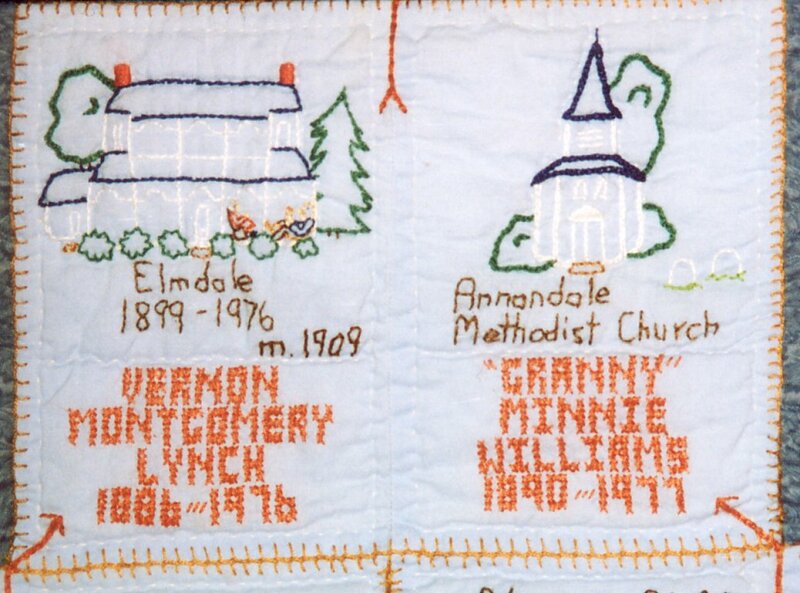 The two blocks shown represent Vernon and Minnie Lynch. 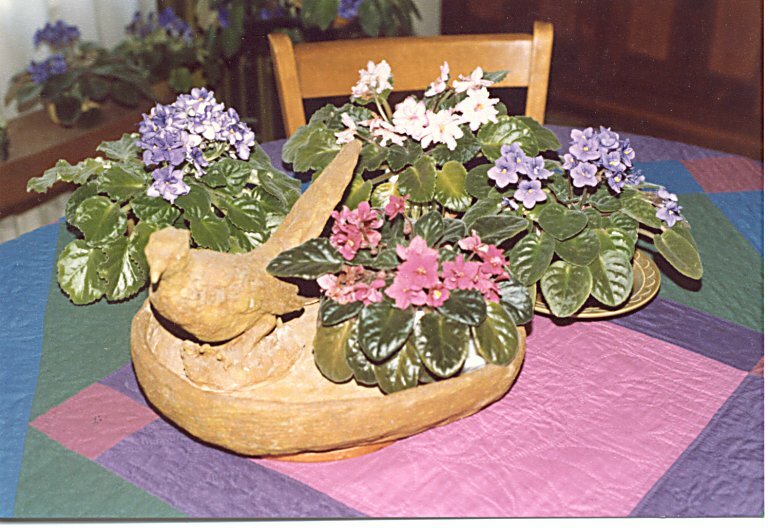 This original design was a learning experience resulting from a class I took from Jinny Beyer. I never struggled so much with a quilt in my life. After that I was much more courageous about doing my own thing. This is a good quilt to hang at Christmas time. 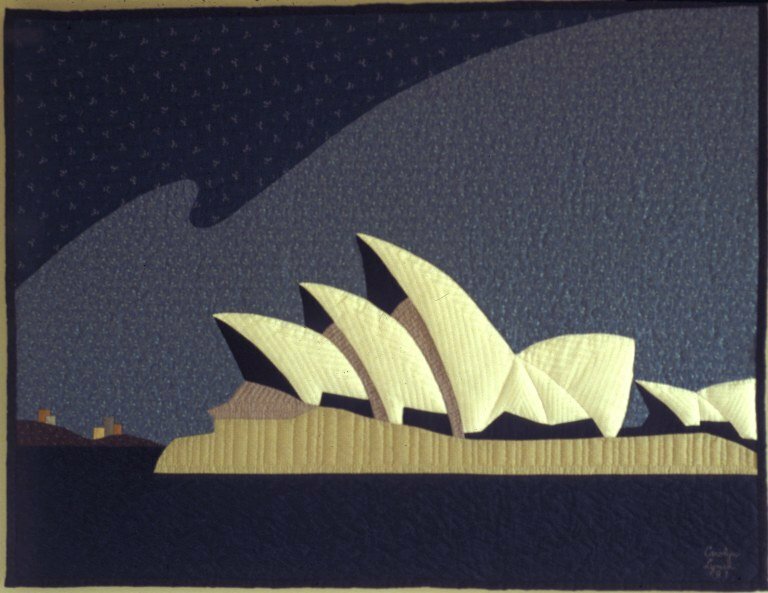 This was my first venture into original work and was inspired by a visit to the opera house where I saw Die Fledermaus. It was a gorgeous evening and a memorable experience. 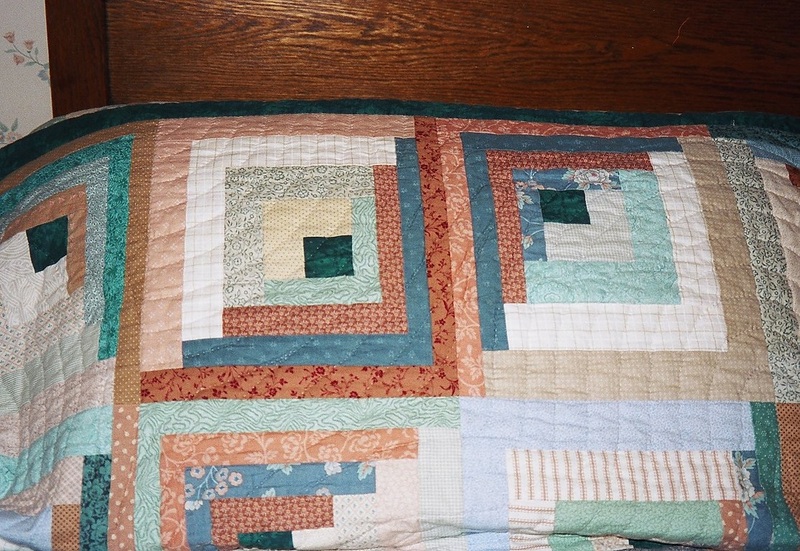 This early quilt was made for our guest room that I redid after our youngest left for college. 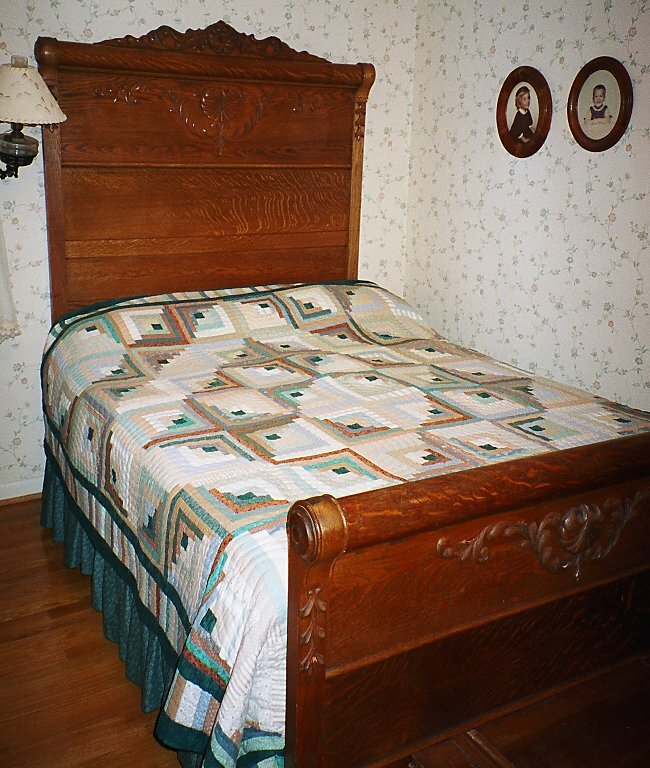 I wanted to make a log cabin quilt but wanted it to fit the bed. The design is made so that each block is a rectangle rather than a square; that was my original technique. 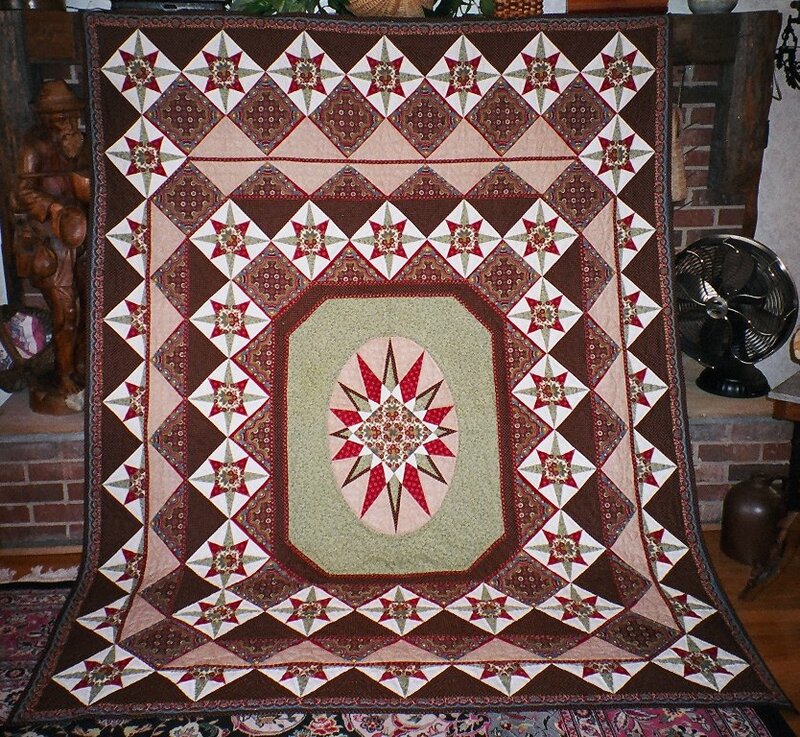 This quilt provided good practice in precision rotary cutting and piecing. I used up some fabrics I didn’t particularly like, but they went together rather well.